American railroad advertisement with interesting but justifiable embedded assumptions about American demographics, 1949. 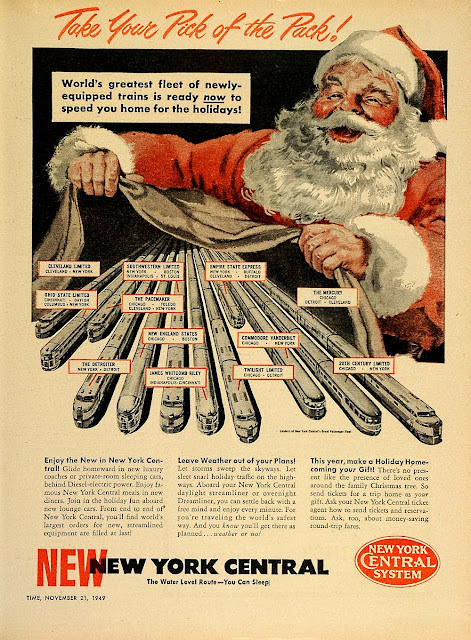 I want to join in the holiday fun on new lounge cars! I want to settle back with a free mind and enjoy every minute!